How do you review a games console in this day and age? Our expectations for new systems have changed, and while Sony's messaging with the PlayStation 4 may have centred on the hearts of the players with iron sight precision, it's impossible to escape the idea that beneath the expensive marketing campaigns and Antonio Banderas impressions, this is an evolving multimedia box at its core. As such, the console that you buy today, tomorrow, or before the end of the year represents the foundation; the blueprint for an even more entertaining establishment that will gradually be embellished and iterated upon over the coming years. The big question is: does the device deserve your hard-earned dough? We can't offer a definitive verdict to that conundrum yet. It takes years to understand how a new system fits into your lifestyle, and while we've already invested dozens of hours into Sony's next generation machine, we're still discovering intricacies, innovations, and, unfortunately, irritations that we didn't even know were there. As a result, the best that we can offer is an overview of our experiences so far, and, hopefully, answers to some of your burning questions regarding the device. It's also worth adding that the information within is fluid. With firmware updates and system overhauls a pivotal part of each platform holder's pipeline these days, there's always the possibility that any of the criticisms – or, indeed, acclaim – detailed within could change over the coming days, weeks, or hours. For now, though, this is a snapshot of the PS4 as it looks today. You wouldn't necessarily think that you were buying a supercharged system looking at the PS4's packaging. While the likes of the PlayStation 3 and the Xbox (the original one, not necessarily the new one) shipped in enormous boxes, the Japanese giant's latest platform looks rather dainty. Dressed in the royal shade of blue that the manufacturer has become so fond of, the cardboard wrapping is outrageously slender. This isn't an example of poor packaging, of course, but moreover an early indication of just how svelte the system inside actually is. A carrying handle adorns the top side of the packet, which doubles as both a practical transportation tool and a grip to slide the main container outside of its printed covering. Unfastening the cardboard and lifting the lid like Pandora's Box reveals a sequence of whitewash compartments, each containing key components of the next generation console's apparatus. In addition to the main unit itself (equipped with an interchangeable 500GB hard drive), you'll find a DualShock 4 controller – click through here for our full review of the new input device – a Micro USB charging cable, a bundle of manuals, an HDMI cable (the PS4 waves an overdue goodbye to traditional analogue outputs), an AC adapter, and a cheap and cheerful audio headset that works as advertised, but that you're probably going to want to replace at some point during the console's life. The chassis itself is alarmingly small – it's comparable to the first iteration of the PS3 Slim – but feels sturdy in the hands. Aesthetically, its parallelogram-like design, scored by a central indent, is likely to prove divisive, but to this editor's eyes it looks pleasing in both its vertical and horizontal positions. The console stands sturdily in the former position, but you'll want to purchase a stand if you intend to use it in this stance, as installing discs can cause the console to shake a little. The rear of the device is peppered with vents that help to keep the system cool, in addition to a handful of inconspicuous ports. The standard power adapter sits at the bottom of the unit, while the top row accommodates HDMI, optical audio, and a network adapter for wired connections. There's also an AUX slot for the PlayStation Camera, which means that you'll no longer be forced to run a cable from the front of your console if you intend to have the lens hooked up at all times. The labelling of this is perhaps the most interesting, as it means that it could technically be utilised for other peripherals in the future. We wonder if the rumoured headset that Sony's 3D division is purportedly cooking could take advantage of the input, too. The front of the device, meanwhile, boasts a couple of USB ports, a Blu-ray disc slot, and two discreet power and eject buttons. These, much like the original PS3, are touch sensitive, and can be quite difficult to locate in the dark. With the emphasis on digital content much greater this time, it's perhaps telling that the design of the system overlooks physical media, almost hiding the fact that it supports it in the first place. The chassis is rounded out with a half-matte-half-sparkly finish, with the glossy portion of the shell hiding the hard drive. This can be removed should you need to swap out the 500GB disc for something a little bigger, but the process has been streamlined to the point where anyone with a screwdriver can do it. Much like the original iteration of Sony's current generation console, the shiny surface is a bit of a dust magnet, and is prone to scratching if you don't treat it with an insane level of care. However, the different finishes provide a nice two-tone effect when the system's observed in the light. Of course, we'd be remiss for not touching a little on the specifications inside the unit. Sony's made much out of the device's vaunted x86 architecture, and while it's virtually impossible to appreciate this decision from a consumer perspective, developers have been praising the ease with which games can be produced for the console. The addition of 8GB GDDR5 RAM appears to be the hardware's biggest triumph, though, giving studio's access to a large pool of high-speed memory. It's this asset in particular – coupled with plenty of processing power – that has enabled the system to pull ahead of the Xbox One, allowing certain multiformat games to run in a higher resolution than the Microsoft machine. Interestingly, it's this bump in image quality that represents the most noticeable enhancement over current generation software. While the PS3 was no slouch in the graphics department, some titles could look muddy due to the fact that they were being rendered at a resolution sometimes lower than 720p. However, titles such as Assassin's Creed IV: Black Flag and Call of Duty: Ghosts demonstrate the immediate advantages of 1080p, while launch title Killzone: Shadow Fall offers a glimpse into the future with some staggering lighting effects throughout. There's something pleasingly basic about the PS4's user interface. As consoles have evolved over the years, we've gradually stepped away from the idea that a system should consist of a digital clock and little else, and Sony's latest platform proves that without bombarding you with boxes and icons. Here, the PlayStation Dynamic Menu takes centre stage, and it draws upon the design philosophies popularised by the XMB way back in 2003. Like the award-winning menu system, the hub uses horizontal and vertical spaces to display information, but its approach is a little different. 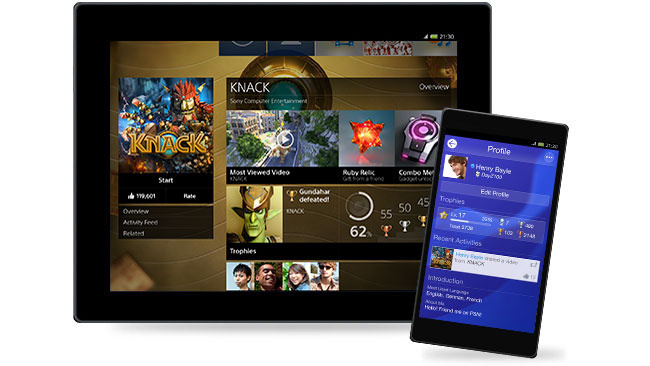 Rather than categorise everything on a central plane, the platform is instead split into three tiers: the top area includes important utilities such as your friends list and system settings; the middle section boasts a horizontal list of your software and applications; and the bottom section displays key information pertaining to your games. You can hop between each layer using the d-pad, and the immediacy is refreshing considering how slow the XMB could be at times. 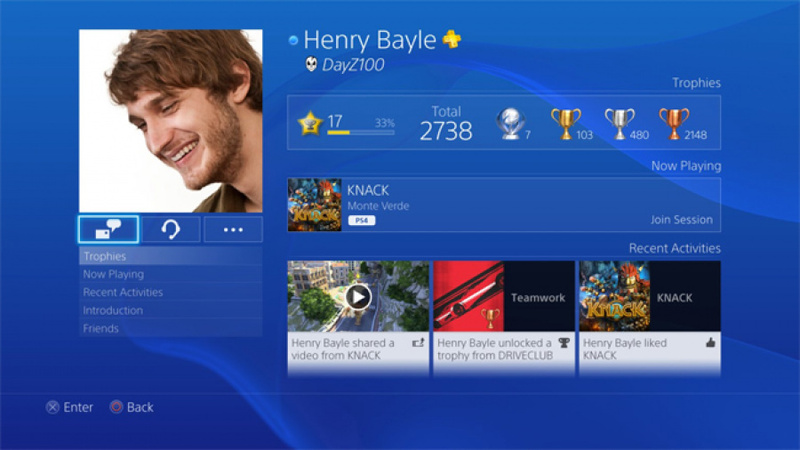 The format hasn't been altered in any meaningful way, but it's now much easier to keep track of your progress across all of Sony's flagship systems. One major addition includes the implementation of a rarity tracker, which determines how difficult (or uncommon) each individual trinket is. The rewards are attributed one of four different tiers depending on the entire PSN population: Common, Rare, Very Rare, and Ultra Rare. Unsurprisingly, Trophies make a return on the PS4. The utilities section is well organised, but there are quirks that are sure to be solved throughout the system's life. For example, downloads are added to the notifications section automatically, but there's currently no way to pause, queue, or manage what's being copied to the console. Sony would probably like to think that this automated approach means less work for the user, but the reality is that it forces you to think ahead. If you're already downloading a game, for example, but you need to pull down a patch, too, it's impossible to temporarily halt the software download while the update is being dragged off the servers, meaning that you won't get the optimal transfer speed on the fix. Minor issues like this plague the friends list as well, which can't be sorted in any meaningful way. You can search for other users, browse your requests, and peruse the people that are currently online, but with the ability to add up to 2,000 contacts, this can be extremely frustrating to manage in edge case scenarios. Fortunately, the PlayStation Store is a vast improvement. It uses the same layout as the current PS3 version, but with the software integrated into the hardware, there are no longer any troubling delays. Indeed, the rich animations and big splash screens load much faster, and the integration of videos is much more agreeable now that the application doesn't chug as you flip through its panels. The content seems fairly well organised at the time of writing, but it'll be interesting to see whether it remains this way throughout the course of the system's life. With little to no legacy support – you can't manage your PlayStation Portable or Vita software from the PS4 – the store feels quite bare, but the state of the manufacturer's current generation storefront evidences that it's had trouble scaling the layout in the past. At the very least, the new Library application makes it easy to see what software and add-ons you've purchased in the past, though the inability to sort or search through this suggests that it could get cluttered as you invest heavily into the ecosystem over the years. In fact, untidiness is an issue inherent across the entire platform. The central panel which contains all of your software and applications cannot be arranged into folders, meaning that there's the very real opportunity for it to bloat to an enormous size. While it's quick and easy to browse through this bar, the lack of grouping options will frustrate those who enjoy having their software nicely categorised. The same complaint also applies to the new 'What's New' area, which acts as a feed for the system-wide activities of your friends. This is an interesting addition in principle, and it allows you to keep a closer eye on all that your peers are playing, but the lack of layout cohesion makes it a bit of a mess. You can 'like' the actions of your companions, peruse recommended information from the platform holder, and see what Trophies everyone's earning – but the overload of garish grey boxes is unlikely to hold your attention for long. Sony didn't say a whole lot about the PS4's voice controls until shortly before the system's launch, leaving many to assume the worst about the functionality. The good news is that the technology actually works rather well, with the console responding to your prompts perfectly almost every time that you tell it to do something. The problem is that the feature is extremely limited at the moment, merely allowing you to browse your games, switch users, take a screenshot, and turn the system off. It's a great foundation, but it needs to expand to every facet of the device before it becomes a viable option over traditional button-based controls. The same issue is present in the information feeds for each individual title, too, but at least the overall LiveArea-esque sub-screens are a little easier to read. These contain pivotal points of interest pertaining to each piece software – such as manuals, add-on packs, and more – as well as information on your progress and a list of your buddies that also own the game. It's a simple idea, but it's an interesting one, and it's something that we hope gets furthered over time. Despite being a big feature on the Vita, this functionality hasn't really reached its full potential yet, so we're optimistic that the PS4 will rectify that moving forwards. It's worth stressing that you won't find many of these features available out-of-the-box. The firmware that the system ships with allows you to play games and very little else, meaning that you'll need to install v1.51 as soon as possible to unlock a lot of the console's core functionality. Fortunately, this is a largely painless task, enhanced by the fact that the hardware now handles a lot of these activities in the background. We went to download the update having set up our console several minutes earlier, and were pleased to see that the system had already copied 72 per cent of the ~300MB patch while we were attending to other things. The unit still takes a little too long to actually install this data, but fortunately you can set the console to handle any housework while it's in standby mode, making the experience as unobtrusive as possible. There are little quirks here and there where the console is still not as immediate as it probably should be – Trophies still need to be synched with the PlayStation Network servers, for example – but these gripes are infrequent on the whole. The ability to stream your console games to a handheld device has existed as a concept for a long time now. The platform holder actually realised the dream on the PSP and PS3, but the feature was so underutilised that it never really achieved the system seller status that it ultimately should have. With the PS4 and Vita, however, the manufacturer has finally fulfilled its original vision, and it works alarmingly well all things considered. Activating the functionality is a fairly seamless process, which requires you to update the handheld's firmware to v3.00. This augments the pocketable platform with a new application named PS4 Link which enables you to stream your games to the diminutive device. You'll need to follow a swift setup procedure before you can actually access the feature, but once you've paired your handheld with the next generation console, you won't need to repeat this process again. The technology itself is impressive. We tested out both Assassin's Creed IV: Black Flag and Killzone: Shadow Fall over a standard Wi-Fi connection, and didn't encounter any noticeable lag issues. When comparing our inputs to the television screen, it was hard to discern any latency with the eye, though we daresay that more advanced tools will be able to determine any issues more accurately than our ageing optics. Most astounding is that we found the functionality to be reliable as we moved around. While we did spot some lost frames and macroblocking as we travelled upstairs, the titles always remained playable, especially when we assumed a static position. The biggest issue with the feature pertains to the control limitations of the Vita itself, then, rather than any technical hiccups. Unfortunately, the portable lacks four of the main buttons from the DualShock 4 – L2, R2, L3, and R3 – which, in the case of Killzone: Shadow Fall, are clumsily mapped to four quadrants on the rear touchpad. Given the high-octane nature of Guerrilla Games' first-person shooter, this doesn't work especially well, particularly when you need to react quickly to life-or-death situations. Assassin's Creed IV: Black Flag fares much better as it places a reduced emphasis on the abovementioned buttons, so the nature of the titles that you try may impact your overall impression of Remote Play. That the platform holder has mandated support for the feature at least bodes well, meaning that you'll be able to play your entire library on the move, as long as the software in question doesn't have a heavy emphasis on motion controls. As evidenced by the user interface itself, the PS4 is a console built around the aspect of sharing your experiences. Like a social network, Sony wants you to revel in your greatest moments with friends, family, and strangers – whether they own a next generation console or not. Pivotal to this ideal is the new Share button, which is found to the left of the touchpad on the DualShock 4. Pushing it when you're in-game brings up a sub-menu, allowing you to cycle through your last 15 minutes of gameplay, capture a screenshot, or broadcast live to a streaming website such as Twitch or Ustream. The immediacy of this feature makes it somewhat infectious, and you'll often find yourself uploading clips and footage of your finest moments without really thinking about it. At the present, the platform only allows you to post images and pre-recorded videos to Twitter and Facebook, but we're sure that YouTube support will be added in time. Once you've hooked up the necessary social networks, the system allows you to input any comments associated with your piece of media and uploads it in the background while you continue to play. While you can't really do any editing to your clips, the system does allow you to trim the footage, and you can watch previews of your recordings before you upload them without having to leave your game. The only real issue is that you'll need to keep check of your hard drive if you plan to make frequent use of this feature, as a couple of presses of the Share button can take up quite a lot of your limited memory without you really realising it. Fortunately, this media is easily accessible from the Settings menu, and you can quickly delete any outstanding clips or images in a matter of minutes. 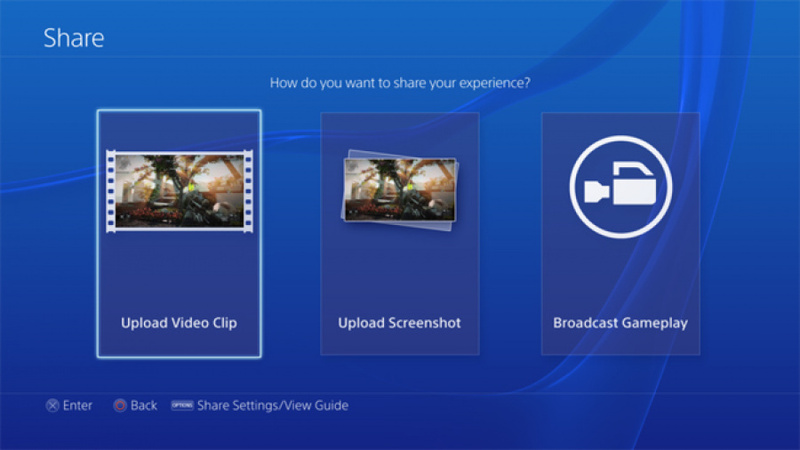 It's similarly easy to stream your gameplay to the rest of the world. Selecting the 'Broadcast' icon from the Share menu allows you to create a Twitter or Ustream account, and you can be on air within seconds. An overlay allows you to see how many people are watching, as well as read any incoming comments. You can directly respond to these messages with a headset, or if you have the PlayStation Camera, you can add a video feed of your session while you play. It's the accessibility of this feature that makes it such a welcome addition. You don't need any technical knowhow to get setup, and you can even find other popular streams directly from the device's dashboard. This is particularly handy if you want to get a feel for a game that you may be considering purchasing, or simply want to keep track of your friends. It may have been billed as a device that's for the players, but multimedia is just as important to the PS4 as it was on the manufacturer's current generation console. As such, the system comes loaded with several on-board applications for Netflix, IGN, and various other online streaming services. The lineup varies depending on your country, but the functionality across the board is good. We were able to dive into an episode of Eastenders from the BBC iPlayer application in seconds, though its functionality remains more or less identical to the PS3. Other services include Sony's own Video Unlimited and Music Unlimited, the latter of which offers the only means to stream audio on the console at the time of writing. The platform holder has confirmed that it's working on MP3 and DLNA compatibility, but it's not entirely clear how long it will take before this is implemented. It may not have garnered anywhere near as much press as Remote Play, but the PlayStation App is just as much a part of the PS4's ecosystem as Sony's flagship handheld. Available for both iOS and Android devices, the handy digital download allows you to stay connected to your friends on the road. Cleverly, the companion can also be employed by developers to enable second screen experiences, as is demonstrated by the Toy Maker tool in The Playroom. This encourages you to draw objects on your handset's touchscreen, which can then be flicked into the game world. Other on-board applications include the obligatory web browser, which does improve upon the PS3's dreadful online tool. We were able to load most pages without a problem, while we also found that YouTube videos worked reasonably well, lessening the need for a native application immediately. Most impressive is the fact that you can tab between games and the web browser without any hitches, a feature unlocked by double-tapping the PlayStation button. This is particularly handy when you're following an online guide and want to switch between text and gameplay on the fly. We did have a couple of instances where the system claimed that we'd run out of memory in the browser, but this simply stopped the page from loading, rather than shutting everything down. Meanwhile, the console also comes with an augmented reality showcase called The Playroom, which shows off some of the main features of the DualShock 4 controller and PlayStation Camera. It's unlikely to keep you engaged for long, but as a showpiece for the new piece of hardware, the technology demos on display will undoubtedly impress your friends. The PS4's unassuming nature may just be its greatest asset. While it looks simple on the surface, the console's interface is fast, fluid, and a far-cry from the increasingly creaky XMB. The format is flush with features, and while not all of these have matured fully yet, the foundations are in place for something special. It may be some time before we see the full power of the platform stretched, or the fruits of some of the more superfluous functions fleshed out, but Sony has a solid base to build from over the coming years. Organisation issues aside, this is a sizeable step forward from the PS3. Is that enough to make it worth a purchase today? You'll need to come to that conclusion for yourself. As with any system, the software lineup is light at launch, but it will grow considerably over the coming years. If you're comfortable waiting until there are more games that you'd like to buy, then the visual leap, impressive live streaming features, and surprisingly stellar Remote Play functionality will be waiting for you on the other side. If, however, you can't resist the lure of new hardware right now, then know that you're not making a mistake. This is a confident first foot into the next generation – and the most exciting thing is that it's just the start. 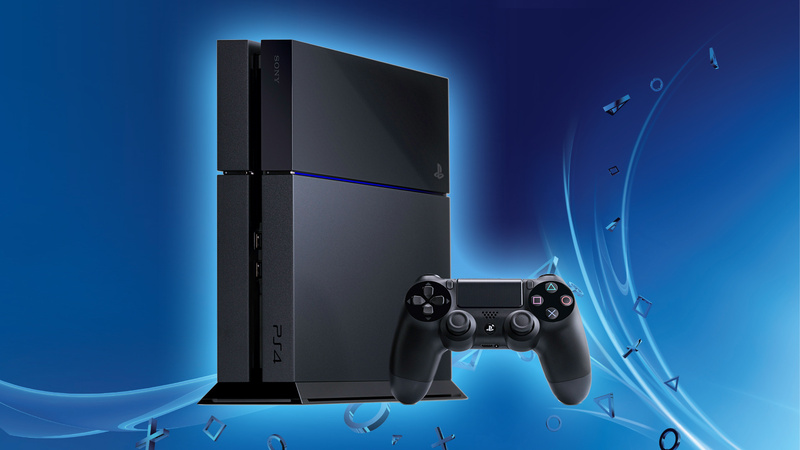 What are your thoughts on the PS4 so far? Have you had a chance to fully explore the format yet? 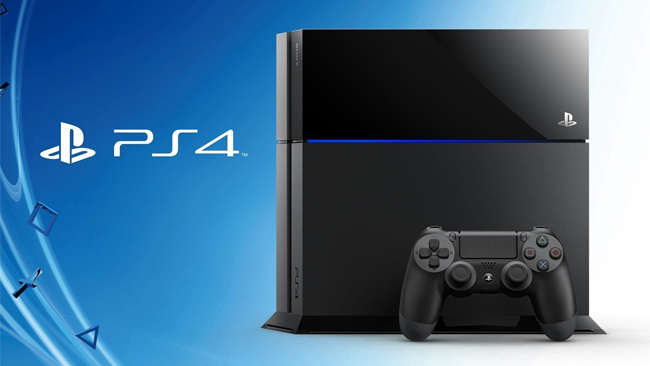 Are you eagerly awaiting the opportunity to pick up your console? Share your excitement in the comments section below. TL;DR - It's pretty good. @MadchesterManc It is and it isn't. There are three main levels, each of which holds different content. The top layer is the closest to the XMB with your friends list and stuff, then the middle layer has your games and apps, and the bottom layer is akin to the Vita's LiveArea. It's so much faster than the XMB that I think you'll quickly forget about that old interface. Great read @get2sammyb - can't wait to go hands on with my console tomorrow. I give PS4 a 7.5/10. @get2sammyb Great read, the article addressed many things I was curious about. Sorry to bother you but I have a some questions. I know I may be the minority but I have no access to wifi, only wired connections. So I cannot download my PSP and Vita stuff in the PS4 and transfer them to my portable devices? This is sort of lame, having to keep my PS3 for this after I beat all the games I plan to buy. They may patch this sometime though if fans ask for it. Anyway on the internet I saw two things. Firstly on some dedicated PSP/Vita website thay said that after you pair PS4 and Vita you can stream the game locally directly like the Wii U, without the need of a router. Do you know if this is true? Secondly IGN reported something strange, that there is DRM on digital titles and to play them you have to be always online. Have you tried it? @belmont Yeah, I'm confident Vita stuff at the very least will get added in at some point. I haven't personally tested Remote Play in that scenario, but as I understand, if you have the console connected with a cable, you can Remote Play without a router. In fact, I believe this is the way that Sony recommends you do it. Resogun runs fine for me without a connection. I haven't tried any other titles. Having said that, this is a console that you'll want "connected" as much as possible. Navigating the home screen etc would be nice through your tablet? What's the best reason to buy this console? I'm usually a retro gamer. @get2sammyb Thanks for clarifying those things for me! Anyway I have still not decided whether or not I will get one for Christmas or early next year. I want more variety in the software since I don't like fps games and don't play sport games as I used to. If anyone wonders you can "buy" PS4 plus digital stuff through the webstore and have them ready for whenever you buy the console I already have five games! @belmont I think that's totally valid. At the end of the day, the system's still going to be as good if not better by the time that you get around to buying it, so there's no harm in waiting a few more months. @belmont it does work without wifi, I've played AC4 beamed straight from the console. Sony does what Ninten...does first. 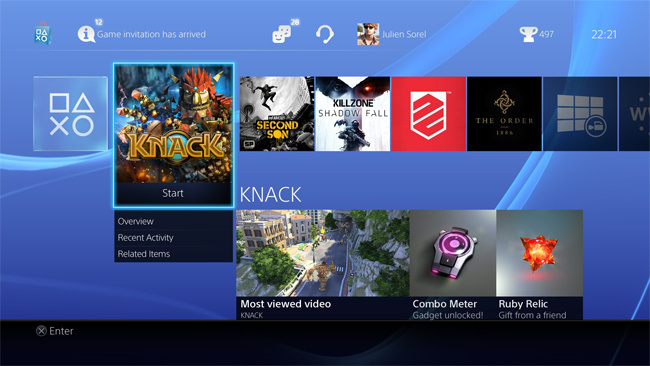 I really like the PS4's UI, I liked the XMB, but the PS4's UI just looks so much better. I'm also really psyched to try out Remote Play now that most if not all games will be supported - I'll be able to play Shadow Fall, Second Son, DriveClub and Planetside 2 from work. @charlesnarles Actually, while only a hand full of games were supported, Nintendo did what Sony did first. @charlesnarles I totally get your point. I got my Vita and PSP on the release date but in the case of PS2 and 3 I waited till they were 300 euros and had lots of games to play. However it all depends on the money and the software. If FF15 (or a similar "big" rpg) was a launch title I would have preordered a PS4. However now I may just buy upcoming rpg games on PS3 and save money for a PS4 and get it later. I agree that I will not get the console cheaper though. 400 euros is a fine price for this tech anyway. I don't think this will be a Wii U situation when I got one new for 200 euros or Vita that now costs 170 euros. @BornOfEvil I have tried Blazblue on PSP via PS3 remote play and it worked perfectly. I have no other game that supports remote play. Too bad this feature was not used in the vast majority of games. 1) Hardware & Specs : (not as nice as , but ) one of the best looking machines since the original panasonic 3DO . 2) User Interface : looks clean and contempary . Like the idea of splitting up the various categories in to three managable sections . 3) Remote Play : (wouldn't use it , but ) seems like this is only limited by the vita's short-comings. 4) Social : Share button is a cool feature , but one that I personally would have no use for whatsoever . 5) Apps : Switching from web-browser to game sounds good . No more trying to read from a printed walkthrough guide by the light of the TV ! 6) Summary : You've sold one to me ! That said , being a veteran gamer , I miss the simplicity of pushing a cartridge into my machine and off you go . Of course time moves on hand in hand with technology , but I must confess to feeling slightly daunted by all these new features . @BornOfEvil The interface is awesome. It got some stick prior to launch compared to the Xbox One because that's much deeper, but I actually think less is more in some cases. There are still a lot of things that need to be ironed out, but I like the way it's designed. @eliotgballade Thanks for reading. Remember that you can "ignore" a lot of these features if you don't want to use them - though you won't be getting the full experience if you do. @get2sammyb I don't think the Xbox Ones is that deep at all, it actually looks pretty dull and cluttered from what I've seen of it. Microsoft could have done a lot more, but so far it just looks like the 360's dashboard, which I hated with a deep, burning passion. Everybody! Tell me what u think of the console in a scale of 1-10 plz! I have one...I give a 10/10. There are a few things missing that will be included in future firmware updates, but this system is the best I have seen in 25 years of gaming. @Ali247 I think it's really difficult to attach a score to a piece of hardware. It's probably best to rate it at the end of its life. I think it's a really strong start, though - much stronger than the PS3 was, and that blossomed into a great system. Wow after this review I'm really excited to my PS4. My question is now what game should I get I'm getting Killzone for sure but not sure if I should get Knack or AC 4 (haven't played it yet not even on PS3). From this review (and many others) it sounds like there are sooo many things currently missing from the PS4, there is still so much WIP. However, what is brilliant, is that Sony knowing they could never practically do everything in time for launch, has been focused and with a singular vision about what is important. They have focused on game related functionality and social features. Everything else, will come. i.e. I think that they got their priorities right. Though, that doesn't mean I am not interested in many of the missing features. In any case, I will pick mine up in about 2 hours time. I'll find out for myself then. @Spidernoir It depends whether you want something old school or open world. I think Assassin's Creed is the better game personally, but I do quite enjoy Knack, even though I don't really think it's a blockbuster or anything like that. @Ginkgo Yeah, it's a really strong start. If you think about how far behind the Xbox 360 the PS3 was when it launched, Sony had to do a LOT of catching up over the years in terms of hardware features. This console is much better positioned than that, and is great out of the box. There are irritations, but a lot of those will be cleared up within the first 6 months in my opinion. From there, it's all about adding even more features on top. AC IV is a great game and the best in the series since II. I am a big fan of the AC series but I don't just give it free passes, while I really liked Brotherhood and Revelations, they weren't too much more than decent size expansions and III, while I wouldn't say is a bad game, it definitely disappointed me and almost made me take a long break from the series but IV pulled me back in. One thing that really appealed to me about the game is that it takes place in the 'golden age of pirates' and the water combat, probably my favorite part of III returns, only its been improved. Knack is one of those games that you might appreciate if you're an old school gamer and looking for a bit more of a challenge than most games provide today. But I still say from a story and gameplay perspective, AC IV might be the best game on PS4 (and X1) right now. It's actually just a must-buy in general, doesn't matter which console we're talking about. I'd say out of all the games I've played this year, AC IV is in my top 5 with GTA V, The Last of Us, Bioshock Infinite and Zelda: A Link Between Worlds. Sooner this "For the players" tag line disappears the better. Fed up of hearing it shouted out from the TV every time a PS4 advert comes on. Wouldn't be so bad if the prat wasn't screaming it. As I've said before I have no interest in buying a PS4 until a years time at the very earliest. However I upgrade my phone in a fortnight and for an extra pound a month (so £48 altogether) I get a PS4 and a years worth of PS+ which isn't to be sniffed at. I am loving the PS4. 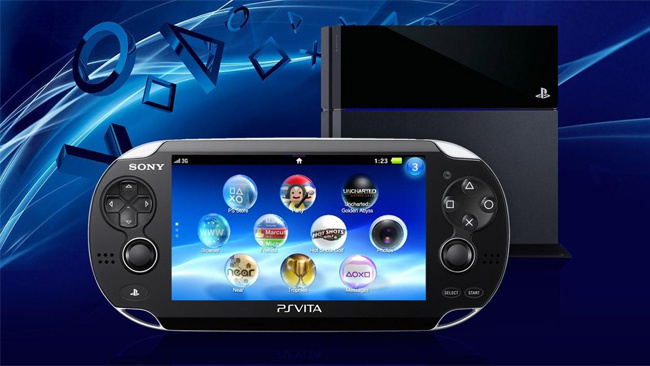 I am thinking that today I might go out and pickup a Vita for the remote play use. If you can hold out a little longer I'd say wait until after Christmas. From what I've seen, all the good Vita deals ended last night.